Help Spread the Word but NOT the Fertilizer! According to New Jersey’s fertilizer law, as of November 15 residents cannot apply fertilizers containing nitrogen or phosphorus to their lawns until next spring (March 1). Commercial fertilizer applicators must complete their customer service cycle of late fall nitrogen or phosphorus fertilization by December 1 and cannot apply them again until March 1. All other materials, such as products containing potassium, lime and composts, are still legal to apply during the blackout dates of November/December through March. This video is courtesy of The Barnegat Bay Partnership, which has recently launched a healthy soil and fertilizer use campaign, with information on their website. Please click here to learn more about the NJ Fertilizer law, via the Barnegat Bay Partnership. The New Jersey Fertilizer Law was conceived to protect all New Jersey surface and ground waters from impairment by minimizing nitrogen and phosphorus loading that may be derived from lawn fertilizer. Generally, excess nitrogen is a threat to coastal water (estuaries) quality while excess phosphorus is a greater concern for fresh water quality. Both nutrients are also important for plant growth and health. Get you soil tested. Rutgers University hosts a Soil Testing Laboratory designed to inform homeowners of specific needs of their lawn. Getting your soil tested will ensure proper application of various nutrients, saving you time and money. 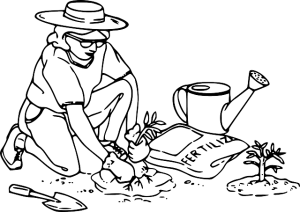 To learn more about the Soil Testing Laboratory, click here. Know when and where to apply fertilizer. The new NJ fertilizer law has been put into effect mainly to protect NJ’s waterways, such as those within the Barnegat Bay Watershed, including the bay itself. Various factors such as storm events wash fertilizer directly into rivers and streams, which flow right into the Barnegat Bay. Since fertilizer is used to make plants grow, it creates increases in marine vegetation within the bay, which can have adverse effects leading to an overall shift in the ecosystem of the bay. This is one of the potential reasons for an increased number of jellyfish (sea nettle) populations within the Barnegat Bay. 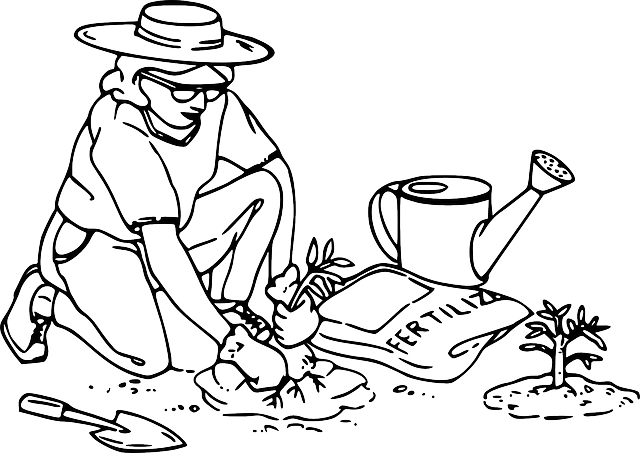 To ensure that you are applying fertilizer in a safe, smart, bay friendly and cost effective way, be sure not to apply fertilizer right before, after or during a heavy rain event or when the ground is still saturated. Do not apply fertilizer onto impervious surfaces, such as paved driveways, being sure to sweep away any fertilizer that may have inadvertently landed there. Do not apply fertilizer during the winter months (between November 15 and March 1) and be sure to maintain a buffer of at least 25 feet between where you apply fertilizer and any body of water. Calculate the amount of nitrogen you need. Rutgers University offers a free tool that can be used by any homeowner to determine the proper amount of fertilizer applied to a lawn. This online calculator will make it simple for you to comply with the new fertilizer laws while using just the right amount of nitrogen (not too much, which wastes time and money). To take the first steps at having a greener, healthier lawn, please click here to use the calculator. Remember, you’re not alone. Many commercial and private property owners have questions when it comes to the new changes in the fertilizer law. “How much nitrogren can I apply in one session?” “Should I ever use fertilizer containing phosporus?” “Am I going to get fined if I don’t follow the fertilizer law?” For answers to these questions, and many more, please click here. Please be advised that as of January 5, 2012, all lawn care professionals must be certified in order to apply fertilizer in New Jersey. Rutgers University is administering the online training and certification program. Online training information is available and lawn care professionals can register to take the test. Access to the training modules and test are available HERE.